Early evening found Cienfuegos in the rear-view mirror as we headed off to Trinidad, another coastal town about 90 minutes away. Here we experienced the delights of casa particulares or private homes. Since the 1990s, Cuban families have been encouraged to rent rooms out of their family homes to foreigners. 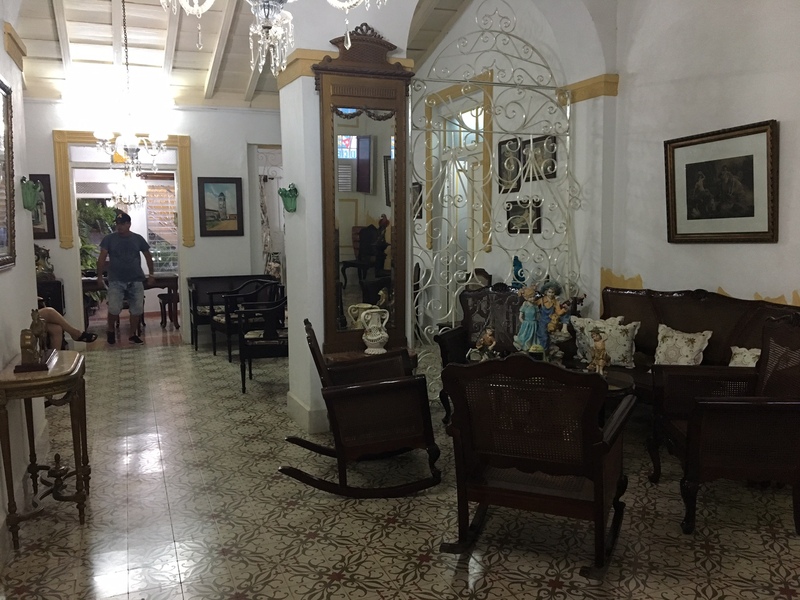 Featuring comfortable accommodations in remarkably luxurious homes with ample privacy (below), we found the casa particulares to be an excellent way to see a different side of Cuba. 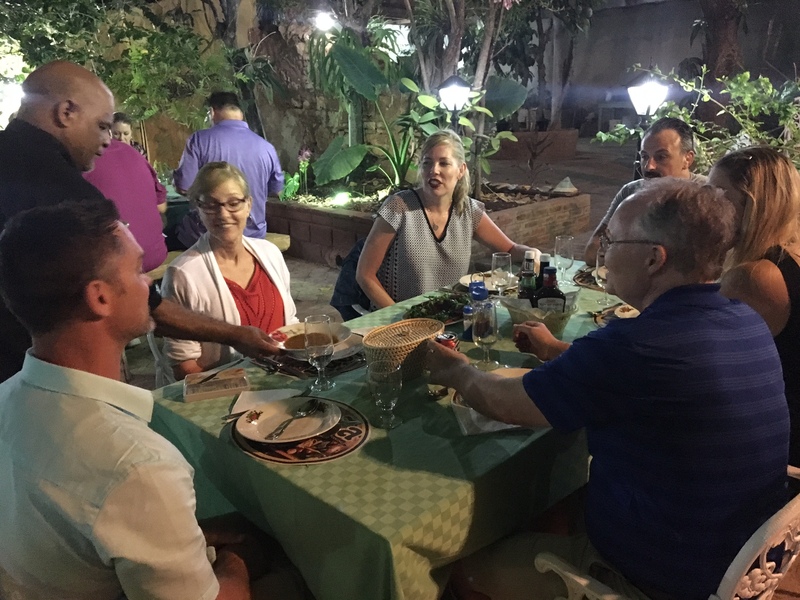 We arrived in time to enjoy a wonderful meal in a beautiful outdoor setting at a private restaurant opened in a local house. We spent the rest of the evening resting up for our last full day in Cuba. This entry was posted in Uncategorized by roun4070. Bookmark the permalink.